We have a strong, natural inclination to protect the vulnerable, and that urge swells when it comes to caring for infants and children. 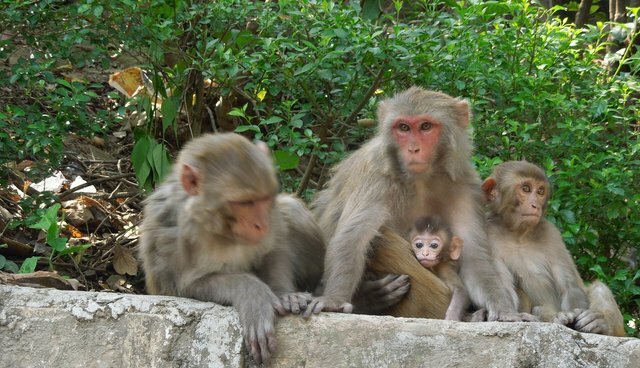 So when I was told of a government-funded study at the University of Wisconsin-Madison, in which infant monkeys would be separated from their mothers, subjected to other stressors to build even higher states of anxiety, and then killed following various invasive procedures, I knew we couldn't stand by. We had to join the fight to stop this appalling, degrading "research." Researchers at UW-Madison have been granted more than $500,000 from the National Institute of Mental Health for a study that will remove 20 rhesus monkey infants from their mothers and raise them alone for a number of weeks before they are paired at the age of three to six weeks with another monkey who has been raised alone. This group will be compared to infants who have been raised with their mothers for approximately six months. All of the infants will be exposed to live snakes, human intruders, and other external agents and conditions to further induce fear and anxiety. They will then be subjected to a number of invasive tests, including MRI and PET scans, blood and cerebrospinal fluid sampling and skin punch biopsies. In the end, they will be killed in order to study their brains. Meanwhile, the mothers will endure the trauma of having their infants snatched away from them. These so called "maternal deprivation" studies date back more than 50 years and UW-Madison is notoriously known as the pioneer of these experiments, under the direction of psychologist Harry Harlow. A critique of maternal deprivation studies published in the mid-80's demonstrated that such studies were of very little, if any, benefit to human children. While the researcher at UW-Madison argues that there are new tools that weren't available in the past (such as the ability to do brain scans), pediatric specialists and neuroscientists have weighed in and argue that this newly proposed research won't benefit children. Two members of UW-Madison's own committee that is required to approve animal studies (known as the Institutional Animal Care and Use Committee-IACUC) even said that the study shouldn't move forward, but they were outvoted by the university's representatives. The HSUS is a determined advocate of science, but we insist that science must be ethical and humane. In fact, two of our most distinguished and long-serving board members are medical doctors who have remarkable reputations in their fields. With their leadership, and with our professional staff, The HSUS seeks sensible reforms when it comes to animal research and testing, including scientific work to spur development and use of non-animal alternatives, so that we can move toward a day when we no longer need to use animals in research. But there are some cases where the costs to the animals are too high and the likelihood of medical benefits and relevance to the human condition are extremely remote. Those are the experiments that should be prohibited from moving forward. This proposed experiment is, hands down, such a case. There has been an overwhelming response from the public opposing this experiment; so far, more than 200,000 people have signed an online petition demanding it be stopped. But we need more people to add their voices and keep the pressure on. Please join me in urging UW-Madison to make a swift decision that this painful and pointless experiment won't move forward.